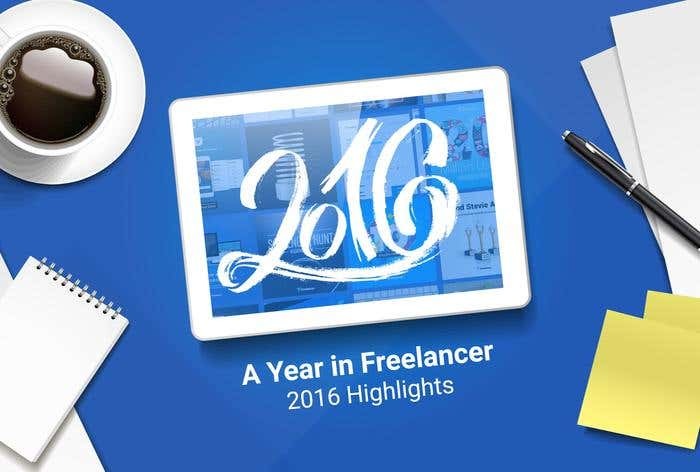 2016 has been phenomenal for Freelancer.com and it wouldn’t have been possible without each one of you who became part of this awesome year. Before we welcome another year of getting amazing things done, let’s take a look back at the highlights of 2016. The Mobile Team released the version 3.0 of our iOS and Android apps in August and November respectively. 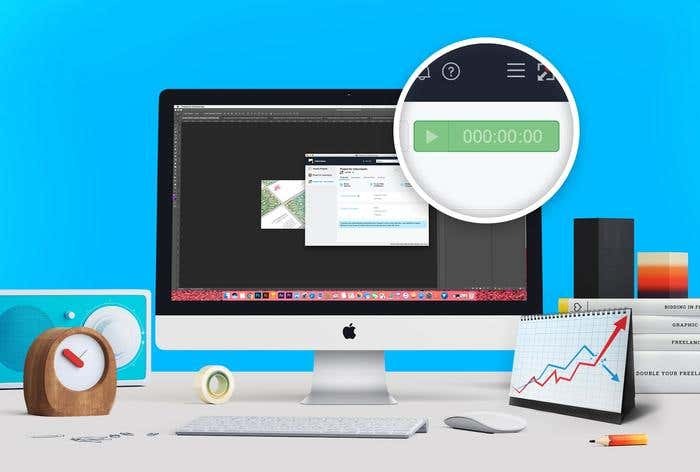 Both apps show off sophisticated design and improved experience for our users who are committed to posting and finding work straight from their smartphones. In February, we added the payments feature into both Android and iOS apps, which turned them into a fully integrated business solution on mobile. The Desktop App had big changes this year. It adopted a new Overview tab with improvements on its header and sidebar. There were also two new notifications added for the latest screenshot taken and the value of tracked time. The most recent update rolled to the app was the compact view, which gives users a more convenient time tracking experience. In May, we released the chat feature on Contests. This lets contest holders get better results faster as they can now communicate and collaborate with freelancers in real time. There are two new Membership plans introduced this year: Professional and Premier. It’s also this year that we made all our plans available for annual subscription at a discounted rate. This gives our users on paid memberships the chance to save up to 20 percent off on their monthly rates. On December 13, we announced the acquisition of Freelancer.com’s #1 Spanish competitor Nubelo and #1 Portuguese competitor Prolancer. The Freelancer Fast 50 report for Q3 2016 revealed that creative projects dominate 50 percent of the top 10 fastest growing online jobs. Photography jobs, which grew by 22 percent in Q3 compared to Q2, sit at the top of the list. View the full list here. NASA continued its collaboration with Freelancer, this time, to crowdsource design concepts for the robotic arm of the Astrobee, a free-flying robot. The phase one of the competition was held in January. The following month, we announced the 30 shortlisted participants who will move on to the next phase to design the system architecture of the robotic arm. Read more about the NASA - Freelancer collaboration here. We also posted a few of our own contests this year like the graphic design contest for the social media graphics for our 20 million users announcement, and another where we asked our users to send photos of them in their workplace. The Freelancer.com Scavenger Hunt 2016 happened in July where 11,280 teams participated in completing 100+ crazy and cryptic challenges. 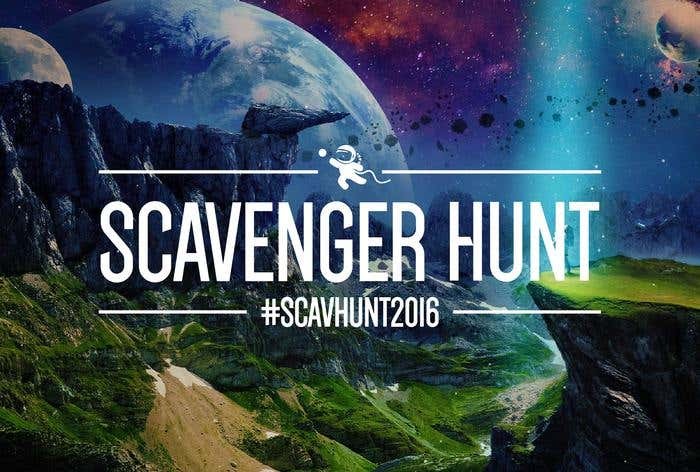 See the scav hunt’s best entries. StartCon, the ultimate startup and growth conference in Australia, took place on November 26 and 27 in Sydney. Find out more about the event here. On July 26, Freelancer hit its 20 million users milestone. Here are 20 things that made this milestone remarkable. 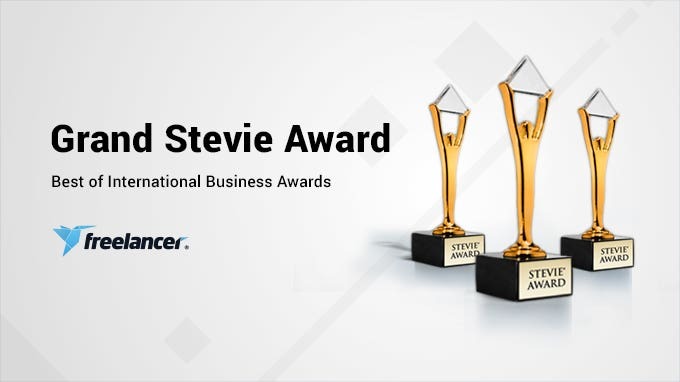 In August, Freelancer won 12 Stevies at the 13th International Business Awards plus the company’s first Grand Stevie Award! Adding to those are two recognitions from The 20th Annual Webby Awards (for Web Employment and People’s Voice), and from the 2016 Asia-Pacific Stevie® Awards in four categories including a Gold Stevie for Innovative Management in Technology Industries. Thank you for being with us this year. Let’s get greater things done together in 2017!